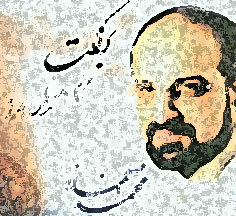 Mohammad Esfahani is one of the most admired artists who has reached fame beyond Iran. I liked his first album released a few years ago in which he sang the old and memorable songs. In this album his talent comes through and we can enjoy his beautiful and heartfelt voice. I like his choice of music and lyrics as well. I had received many requests to post this very talented artist and hope all music fans will be thrilled that despite the artistic limitations in Iran, we continue to see emerging artists who keep our musical heritage alive. Those are my kind of artists. This album was produced in Iran and includes one clip of the singer performing "Baa Tou".